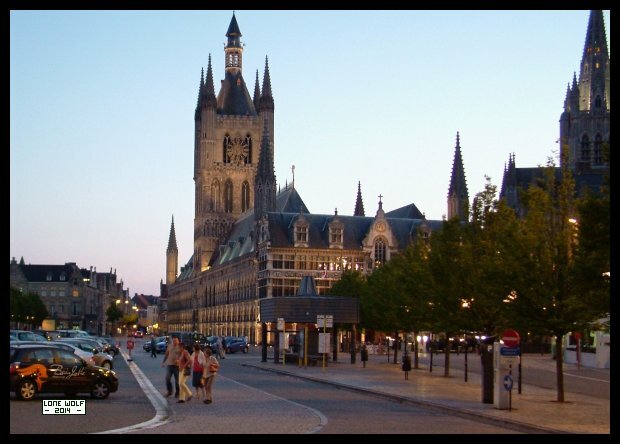 Here we are at Ypres - my home for the next seven days. Monday - A bit of a do nothing day really - but that's what I felt like doing, so I did it. Tuesday - Went to a couple of WW1 cemeteries on the TCT. Some folks got lost, but we all made it back to base. Wednesday - Ventured off on my own to take a look at the Strepy - Thieu boat lift. A very impressive piece of engineering. Thursday - All day was spent just lazing around on the camp site. Friday - Had a good look around the museum in town. Saturday - Filled up with petrol ready for tomorrow. The weather changed, we had glorious sunshine all week, but tonight it rained. Sunday - Rain, not what I needed when packing away, and not what I needed for the journey home. Luckily the rain stopped, and the 289 mile journey home went with no problem. A slide show of the week's holiday can be found HERE. A video of the week's holiday can be found HERE.